(NewsUSA) - An investigational drug for a rare cancer of the upper urinary tract is currently being studied in over 25 centers across the United States. The cancer is called upper tract urothelial carcinoma (UTUC). It affects the lining of the kidney and the ureter, the tube that connects the kidney to the bladder. 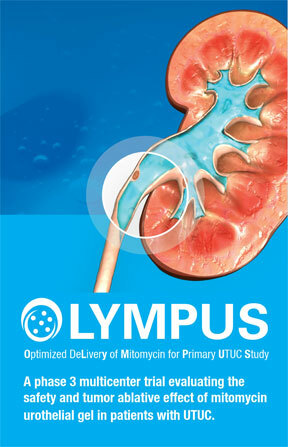 UTUC can be classified as high-grade or low-grade. People diagnosed with the high-grade disease usually must have their kidney, or both their kidney and ureter, removed. Those with low-grade UTUC can sometimes be treated by tumor removal using a special scope. Unfortunately, the procedure to remove the tumor is associated with a high rate of recurrence, and repeated procedures are often required. Around 20 percent of patients with low-grade UTUC eventually require kidney and ureter removal due to disease recurrence or progression. There are about 7,500 new cases of UTUC diagnosed in the United States annually. To date, no drugs have been approved by the U.S. Food and Drug Administration for the treatment of UTUC. The challenge of treating UTUC is rooted in the way the body functions. Urothelial cell cancers in the bladder are treated by surgical removal followed by chemotherapy instilled in the bladder and applied directly to the cancer cells. This approach is extremely challenging in the kidney and ureter because the flow of urine rapidly washes the medication away before it has time to work. "It is exciting to have a clinical trial underway to study an investigational drug that may allow chemotherapy drugs to remain in the upper tract for a prolonged time," notes Diane Zipursky Quale, Co-Founder of the Bladder Cancer Advocacy Network. Well-designed clinical trials are the best way to determine whether an investigational drug is safe and effective and offers an acceptable balance of risks and benefits. "The OLYMPUS study may shift how low-grade UTUC is treated in the future," says Karim Chamie, MD, MSHS, Associate Professor of Urology at UCLA. "As a urologist, I am excited about the possibility of providing an alternative to surgery for my patients diagnosed with low-grade UTUC." If you are interested in learning more about clinical trials for investigational treatments of low-grade UTUC, such as the OLYMPUS trial, speak to your doctor about the possibility of participating in a clinical trial. You can also visit www.bcan.org or go to www.clinicaltrials.gov (NCT02793128) to find a clinical trial site in your area.